The world's window onto Shimizu S-Pulse: Cup Final Special! 2008 :( 2010 :( 2012? Not sure about you, but I've not been able to concentrate on anything this week. Now with just two days to go before 20000+ S-Pulse fans descend on Tokyo, here's a short special about my S-Pulse cup final experiences so far. Went into this certain of victory. Oita were on a slump, we were riding high. Result? We lost 2-0. As you can imagine, absolutely gutted. At the end of 2010 we played the quarter final and semi, then the final on New Year's Day, all in the space of a week. It was a whirlwind Christmas period and with the accompanying yuletide parties, presents and drinking, I've never known anything like it. I even had an early night on New Year's Eve before a 7.30am shinkansen to Tokyo. As it happened, we had another cracking day out, but it all ended in tears. So, Saturday. With the incredible fashion of the quarter final victory and then all the needle surrounding the semi, it's now all down to final day. Read the article in Japanese here. It was translated by the Goal.com staff from my original English text which follows below. It borrows a little from a recent article in J. Soccer issue 4, but has been largely rewritten with Saturday in mind. Since the J. League kicked off two teams have dominated both domestic cup competitions. Across the League and Emperor’s Cups, Shimizu S-Pulse have made nine final appearances, with this weekend making a round ten. The Shizuoka team rank only behind Ibaraki rivals Kashima Antlers who will notch up their 14th visit to the National Stadium* when the two head off for the League Cup on Saturday. While the two clubs lead the country in cup finals, one crucial statistic separates them. From Kashima’s thirteen finals, they have won eight. By contrast S-Pulse have returned from Tokyo empty handed on seven of nine trips. 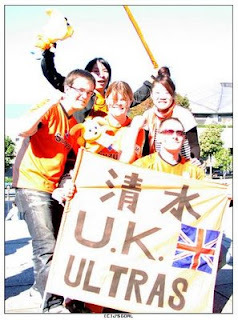 My conversion to a Shimizu fan was completed in April 2004 after a dramatic 4-3 league victory. That my second game was a dour home defeat in torrential rain mattered not. The damage had been done. That season also saw local legend Kenta Hasegawa begin his reign as manager. The S-Pulse old boy moulded a team around crowd favourites like Cho Jae-Jin, Ito, Aoyama, Ichikawa, and Okazaki. Crowds flooded to Nihondaira to watch dynamic, attacking football, and a return to the glories of the late 90s looked just over the horizon. But during his six year tenure I repeatedly watched Kenta’s carefully constructed squad play like champions for half a season, only to choke and fade when it mattered most. Cup football was no exception. 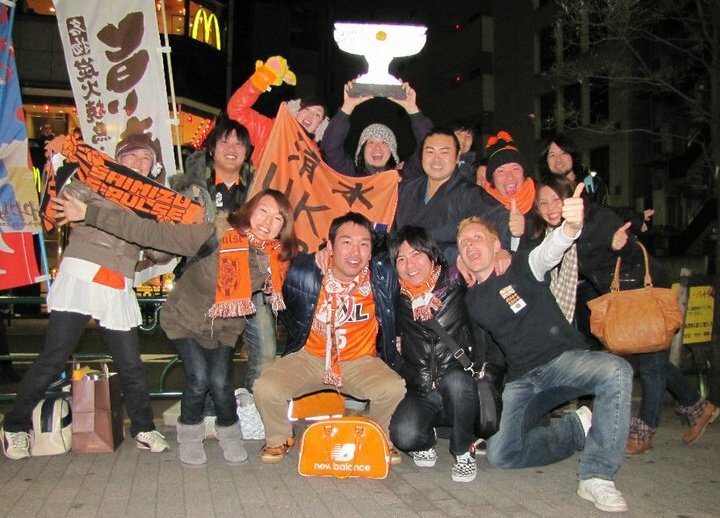 Between 2004 and 2010, Shimizu lost three semi finals and three finals. 2008’s League Cup final typified the era. Relative J1 newcomers Oita Trinita walked out for their first final clear underdogs against on-paper favourites S-Pulse. In practice we hesitated, faltered and never looked in it. A 2-0 defeat to a team who would get relegated in emphatic style the following season. Hasegawa’s local standing granted him more leeway than most, but patience eventually wore thin. As we fell limply away from the 2010 title race he announced his resignation, and in Iran national team coach Afshin Ghotbi’s appointment a revolution began. The tightly-knit squad and deeply ingrained pecking order broke apart. The local-is-best inward looking ideology was replaced overnight by the internationally experienced Ghotbi’s global vision. The culture of nearly-men had to be attacked from the ground up, and while player departures may have robbed the club of some talent, it wiped the slate someway clean to begin work to that end. Shrewd signings like Hayashi, Lee, Jong-a-Pin, Muramatsu, and Kawai formed the new heart of the team. Players previously on the periphery such as Omae became regular starters. Remaining members of the old regime, unhappy at struggling to hold down positions, were shipped out on loan. By no means a painless process, I’ve witnessed tensions on the terraces as the wholesale changes robbed fans of long standing favourites. Bumps along the path as the new look team took time to gel found me urging patience is some of those around me. Now as 2012 nears its climax everybody’s hard work may be about to bear its first tangible fruit. That is why Saturday takes on a special significance. After ten years of falling short, now is the time for Afshin’s youngsters to prove they’re not the nearly team of Shimizu’s recent history. The route to the final in itself displays some of their finest qualities. Going 4-2 down on aggregate in the 87th minute of the quarter final second leg would for many signal game over. Not knowing when they were beaten, strikes in the 88th and 93th minutes levelled the score and gave S-Pulse an incredible away goals victory. The semi final was a comeback of a different kind. Having lost the first leg following a ludicrous FC Tokyo dive in the box and subsequent penalty, the 2-1 deficit was reversed after a comprehensive 3-0 win. That initial injustice, which could have overwhelmed young minds, was instead channelled into revenge. A first title for a decade would give Shizuoka City something it’s clearly craving, but it would be far more than just a trophy. Any lingering doubts or glances backwards would be wiped away and in the wave of momentum such a triumph creates, this exciting new team would be propelled on the road to even greater things. The league cup’s value as a competition has on occasion come under scrutiny, but throughout this campaign S-Pulse have used the tournament to its full. Valuable match experience, and in some cases full pro debuts, have been gained by youngsters like Senuma, Shirasaki, Inukai and Ishige. This helped prepare them for subsequent roles in our league campaign. Whatever the starting eleven for the final, it’s been a team effort in the truest sense and the day will belong to everyone who got us there. Victory would herald the arrival of a new era and Ghotbi’s Shimizu would rightfully claim a spot in S-Pulse history as a team of winners. *It was since pointed out that the 1997 final was played over home and away legs, so there was no national stadium involved that season. I've read your column at "goal.com". Feelings of Shimizu Supporters have been put. I had to introduce in my blog. Let's do the "KACHI-LOCO" with all members!! Hi, and thank you for your kind words! I'm glad to her you liked my article, and thank you for posting the link on your blog. It's time to go to Tokyo- let's bring back the cup!!!!! Gosh, the game is in five hours, it's midnight here, and I'm still not sleeping. I'll try to sleep two or three hours but that's it.